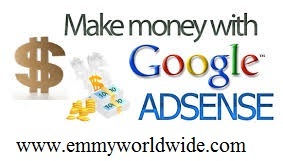 One major reason for choosing Google AdSense is that we can earn huge amounts of money if we do our work in right way. There are many bloggers who are making a complete living from their blogs and Google AdSense. Google AdSense is the number one choice among all the other available networks. Since everybody is running behind them, they have made the approval system very strict. See : Google Adsense Introduction and why you should use it. Have you applied for adsense account and get disapproved every time. Here are few reasons why Google will reject your application. 1. Site does not comply with Google policies — No rich, unique and meaningful content, no organic traffic, pages with little to no original content or bad user experience through clear navigation and organization. Your website may be the one that drive traffic through illegal sources, site with excessive keywords or poor coded design are usually rejected. 3. Page Type / Design of your blog — What will you do if you land a page with full bright yellow background with white text on it, having huge buttons all over the place? Yes you’ll click away. 4. Insufficient content / Unacceptable site content — Your website do not have enough text on them for Google specialists to review. Google gives a lot of value and attention to the content of the blog before accepting it. If the content is poorly written and have grammatical mistakes, Google will reject the blog right away.